I spend a lot of time here. It’s 1.25 miles from my home and the turnaround point on my morning walk. The 10 acre park is home to The Peace River Wildlife Center which is a wildlife rescue facility. The park is on Charlotte Harbor and has a boat ramp on the entrance canal to Punta Gorda Isles. The opposite side of the wall is mangrove swamp that runs all the way to Alligator Creek. Ponce de Leon Park has a wide variety of birdlife. Brown Pelicans nest in the mangroves. There is a large population of Yellow-crowned Night Herons, Snowy and Great Egrets as well as Green, Little Blue and Great Blue Herons that are seen on a daily basis. It’s one of the favorite local places to watch the sunset. 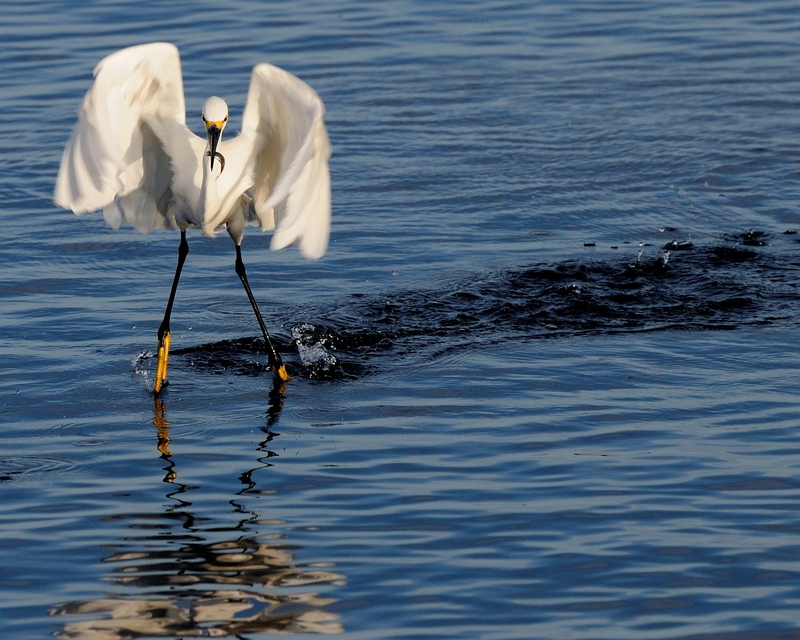 This entry was posted in Park, Park - Ponce de Leon and tagged Photography, Ponce de Leon Park, Snowy Egret. Bookmark the permalink.